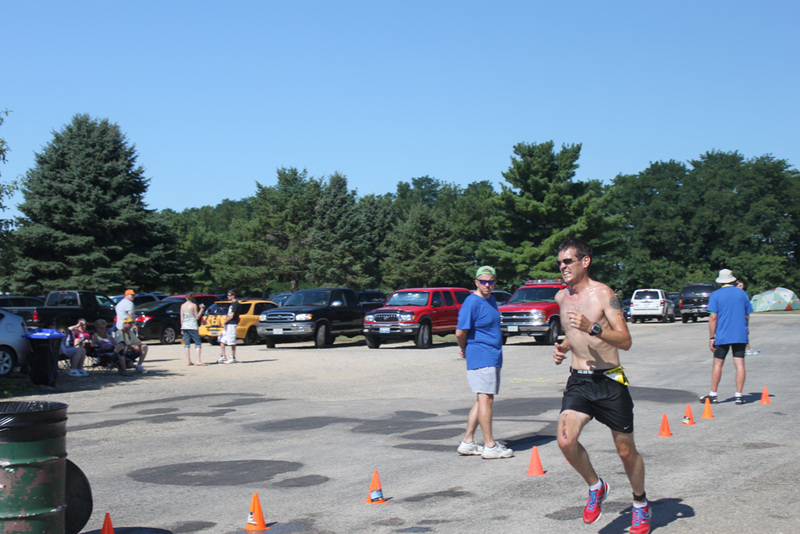 So today’s post is a FlyRunner first, I’m blogging about a triathlon. Most of our running friends are triathletes and the subject of us trying out the sport comes up about every other conversation when out with any of these folks. I have to admit I’m warming to the idea. I’m not psyched about all of the logistics or getting wet, but I assume as with training to marathon, I need to just start with a little piece at a time and get used to the idea. 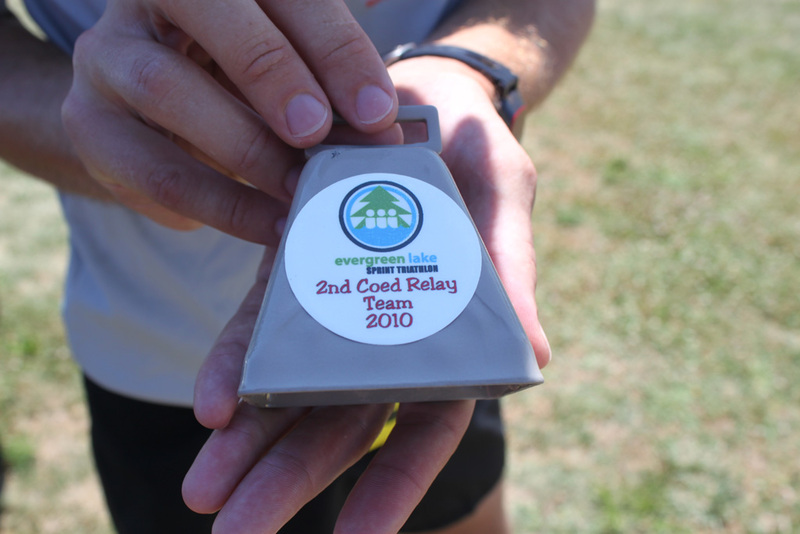 Anyways, yesterday Ryan told us he had a friend who was in need of a runner to be on his relay team for a race the next morning (the Evergreen Lake Triathlon). Since my knee is bugging me Rob and I didn’t have to flip a coin on this one, and he took the opportunity. 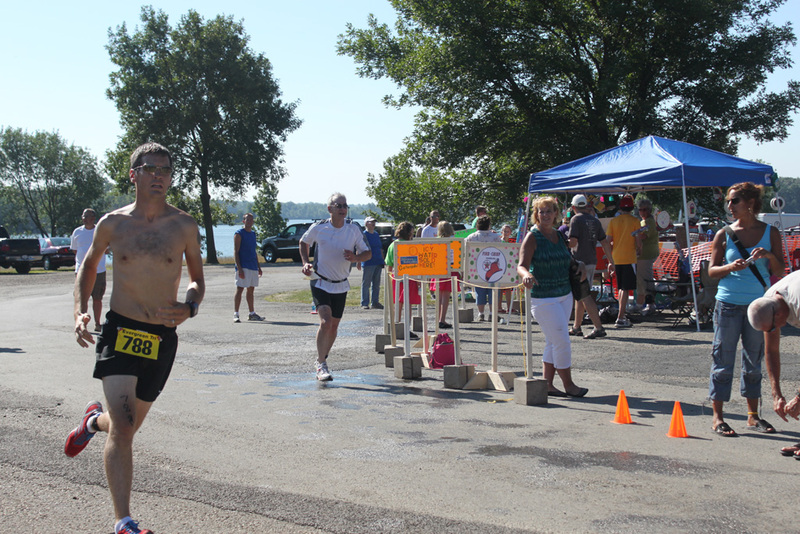 It was a sprint tri so Rob would be covering the 5K. This was a great opportunity to see the sport up close and get an idea of the logistics involved. Plus we got to see so many of our friends race! This was also my first time spectating, and that stunk! I wanted to race so badly! I played camera person and took as many photos as possible of everyone we knew. Since the race started in waves it was non-stop action! 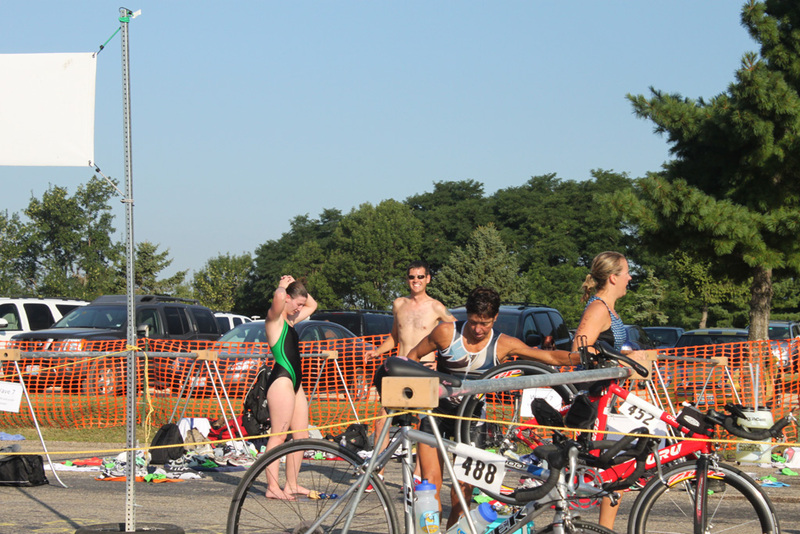 Transition: Nick left on the bike and Brittney and Rob talk about her swim. This was her first open water swim ever! Rob finished with a 20:30. 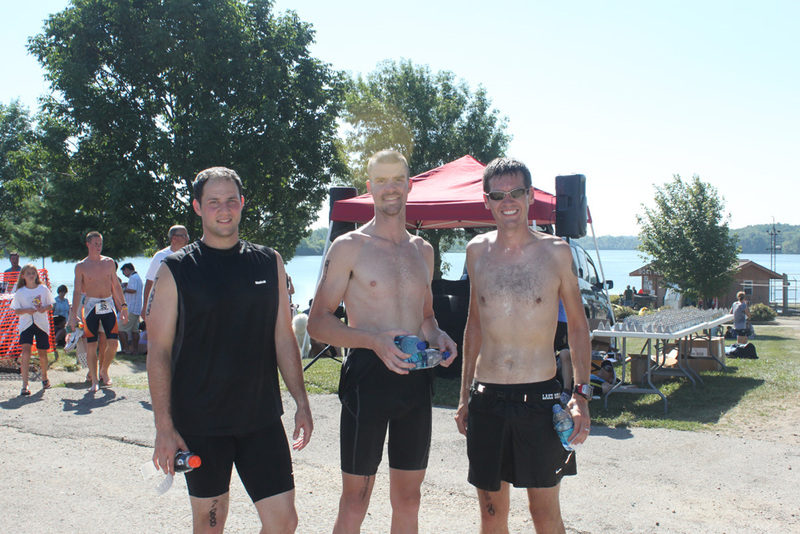 Nick (Rob’s Bike Relay Teammate), Ryan and Rob. 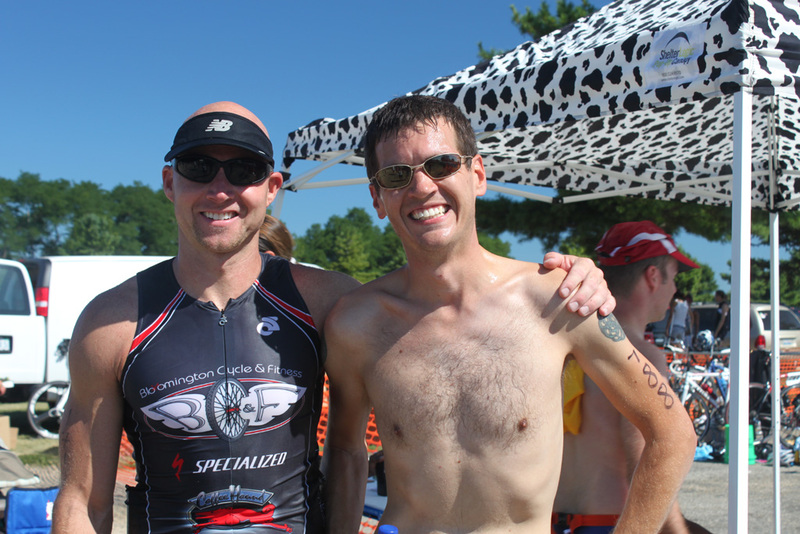 Ryan did the International Distance (1.5K Swim, 42K Bike, 10K Run). 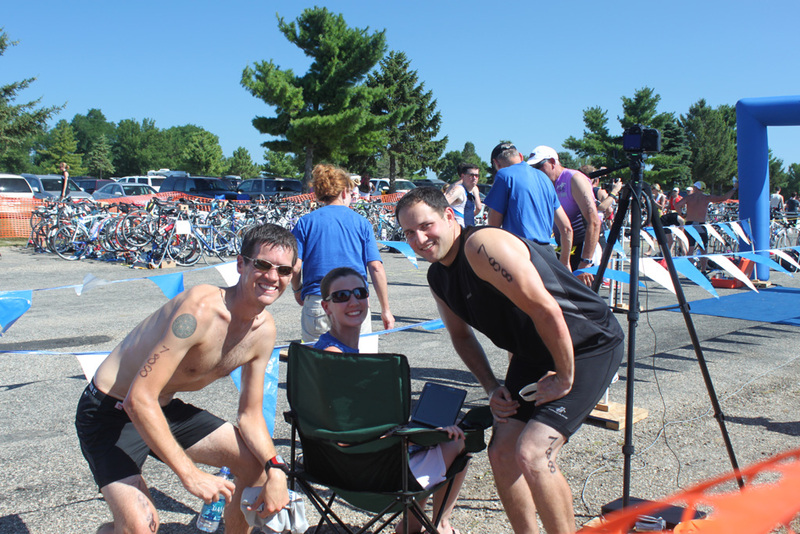 The Sprint Relay Team (500M Swim, 42K Bike, 5K Run). Rob, Brittney, and Nick. Lance and Rob. Lance did the International Distance. 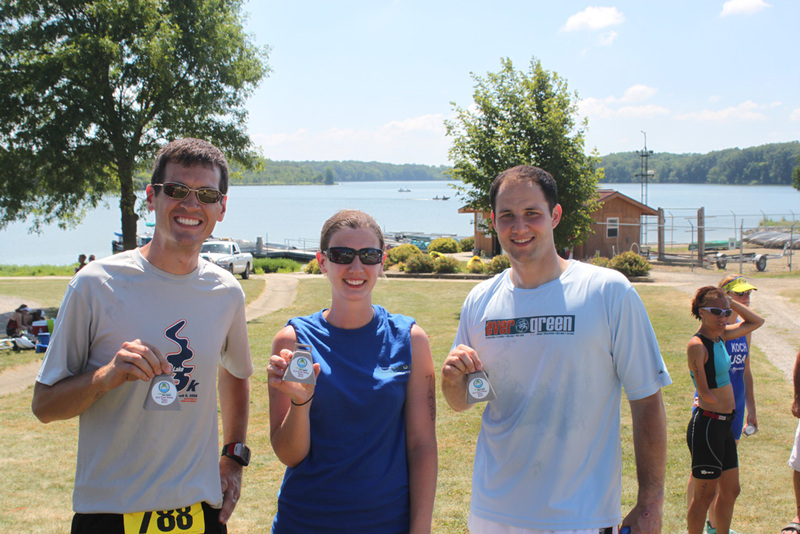 Rob’s team got 2nd in the Coed Relay group! Rob, Brittney and Nick with their awards. 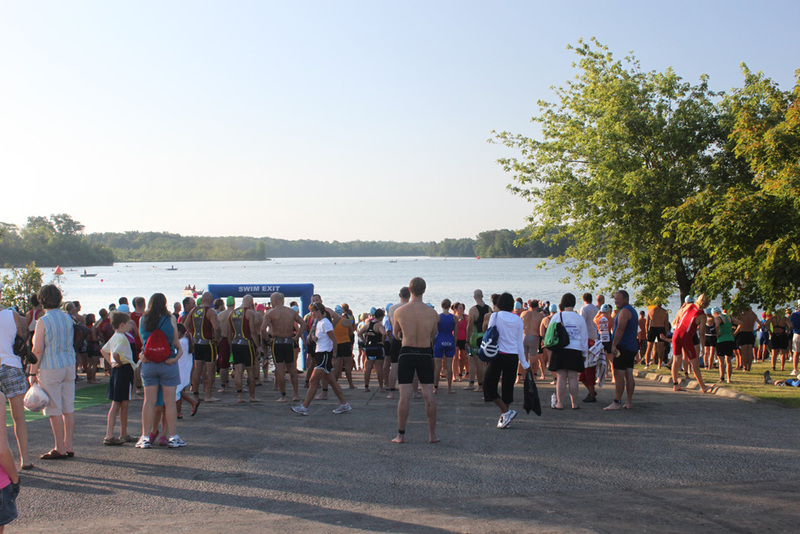 Categories: Award, Race, Relay, Sprint Tri, Triathlon | Permalink.